We are a certified Temporary Employment Agency entered into the Polish Register of Employment Agencies (KRAZ) under the number 8845. We have been in the temporary employment business since 2005. We are specialised in services for people seeking employment and for companies seeking to acquire new staff. In 2015 to meet the expectations of our customers and growing interest in our services in the UK, we opened a branch in Manchester. 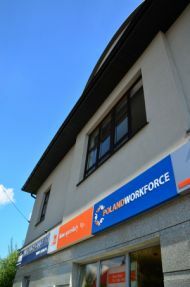 We formed POLAND WORKFORCE Ltd, run by agency recruiters with 15 years experience in the UK market.